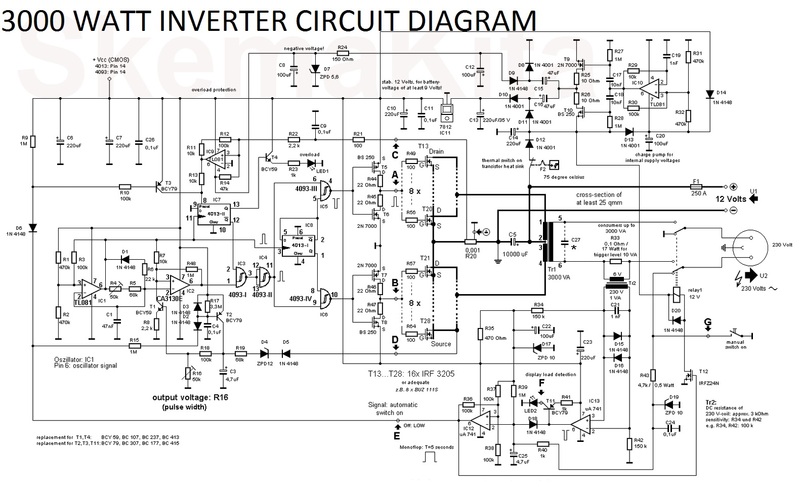 This inverter circuit diagram which can change the voltage 12 Volt DC to 230 Volt AC. 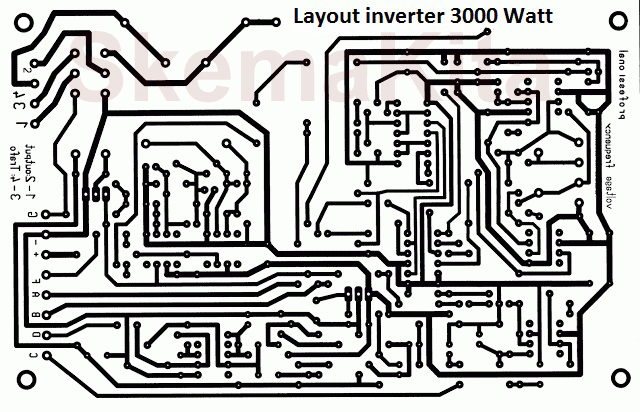 Scheme inverter circuit is capable of removing power output up to 3000 Watt, for beginners as possible to assemble a circuit schematic This inverter will be a little complicated and confused, but if it succeeds in assembling or assemble it certainly results will be comparable to what we have done and probably also the most important in the following makes the inverter circuit must be careful because the power output of the inverter circuit scheme following an AC current and therefore we must be carefully. 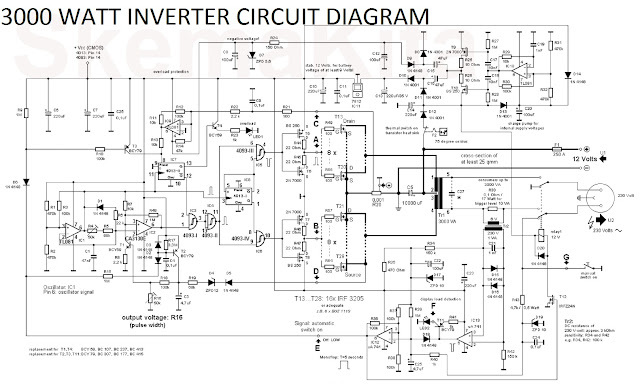 Below is circuit diagram of the inverter 12 VDC to 230 VAC 3000 Watt. Here pcb layout inverter 12 VDC to 230 VAC 3000W. 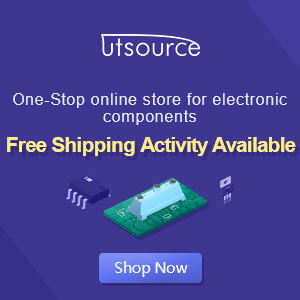 As for the results that we can then use to the maximum DC input voltage of at least 40-60 Ampere and use mosfet transistor genuine, give a coolant in the final transistor or mosfet transistor when necessary, add a fan because the heavier the burden of power on the responsibility of the final transistor then the final transistor will also be getting hotter. Sir how make a circuit I/P=1dbm and O/P=1kwatt.